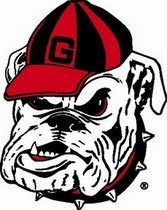 The Georgia Bulldogs made national headlines by being tabbed the number 1 ranked college football team in the Coaches Preseason Poll last week. Less than 48 hours later, some of those same Dawgs made the headlines by being arrested in conjunction with a bar fight early Sunday morning. All of you have figured out by now that I'm a Georgia graduate and a huge Bulldog fan, but this is a classic case of "stupid is as stupid does". As a player you work your 'can' off all year long. You have a great opportunity to play college football. You are in a great college environment. You play for one of the finest head coaches in the entire country. You know he doesn't tolerate unacceptable behavior. You have seen him use loss of playing time as a disciplinary measure. You know the deal and the drill. Yet certain players continue to jeopardize a really great experience by doing STUPID things. The Bulldogs now have six players suspended for at least the opening game of the year. I realize that "regular students" get in trouble just like scholarship athletes do. I realize that jocks at other universities all over the country get in trouble also. I understand all the rationalizations, I just wish some athletes understood the ramifications. You're in a fishbowl, you're under a microscope, you represent a state university. More is expected of you. As Joe Friday might say, "That's just the facts". It's time for the Georgia players to hold a team meeting and say to each other: "Lead, Follow, or Get Out of The Way"! Cut out the incidents. Quit the stupidity. Grow up quick.